Condition: Areas of wear in the field, and losses at one end. Notes: 'Ensi or Engsi' means 'door curtain' in the language of the Turkomans. It is unsure where the cruciform design developed, but it may have been influenced by Imperial Russia's Christian crosses, although it is more likely that it merely represents the typical cruciform shape in a wooden door. 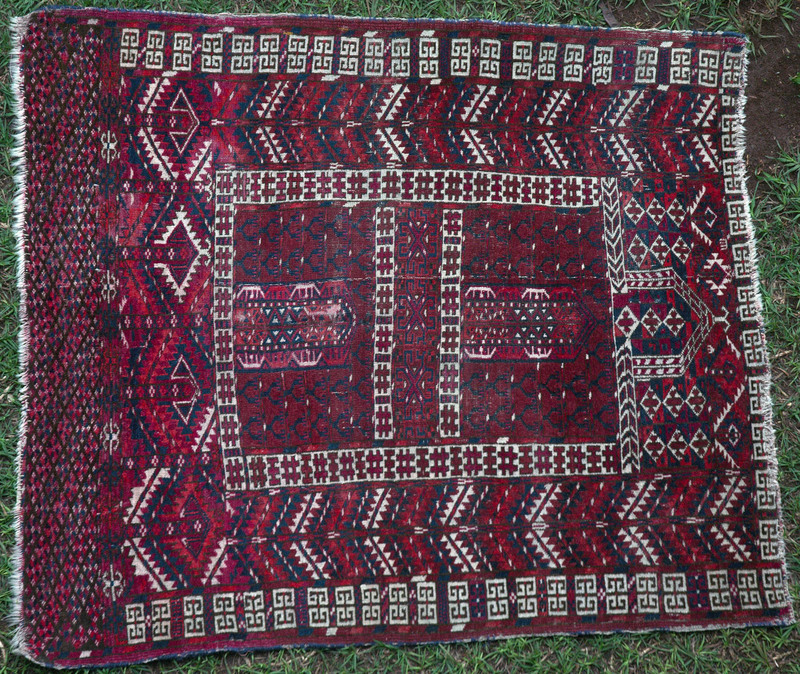 This would have hung at the entrance of the tribal yurt or tent, and would unlikely have been used anywhere else, although this example has what appears to be a 'mirhab' at one end, indicative of prayer rugs. However it may be representing the arch of a doorway, again emphasising its purpose. This piece is typically finely woven in natural dyes, predominant of which is madder.